There are 40 trillion microbes hard at work, deep inside your gut – which is about how much money America will be in debt in about 15 years if it does not figure out how to spend less on health care but this is another topic. Gut health has been shown to play and increasing important part in overall health including mental health, longevity and mood. As well as warding off serious diseases. They help you to digest your meals, create essential nutrients and support their optimal absorption. The digestive system is a complex and vital organ of your body. There is more to digestion than just food going in, getting broken down into nutrients, and waste exiting from it. Similarly, there is more to your gut health and its importance than what you might be thinking. The gut or gastrointestinal tract is a long tube stretching from the mouth to the bottom. The gut is an incredibly important organ which has led to many researchers calling it the second brain. The 9 meter long tube is responsible for breakdown, digestion, and absorption of nutrients. It coordinates over 30 different hormones and multiple enzymes to help break down the food you eat and aid in nutrient absorption. It also helps in the circulation of nutrients and movement of digestive tissues. The gut has a critical role in removing waste and defending against illnesses too. In fact, more than 80% of the body’s immune cells are found in the gut which is similar to Star Wars The Force Awakens and Jurassic World since about 80% of those movies were pitiful but let’s not digress on that. However, the gut is not alone in doing all these jobs. There are more than 400 different species of bacteria and various other microbes in the human gut. All these species have billions of colonies and have specific functions that are necessary to support your overall health. Collectively, these microbes can weigh as much as your brain. These bacteria work together to protect you from disease and even maintain the health of the gut. However, not all microbes are good. There are some bad bacteria that cause more harm than good. These bacteria are responsible for making you sick. The good bacteria or probiotics play an important role in preventing the harmful bacteria from creating colonies in your gut. Humans are exposed to various different bacteria since they are in the womb. The microbiome is unique to every individual and develops as a person grows older. The bacteria in the gut can also influence brain function and have an ongoing communication through neurotransmitters. Hence, gut health is more important that simply mediating digestion. Your gut balance can affect your health in multiple ways. For instance, people who suffer from a chronic digestive disorder called celiac disease are at a risk of suffering from many other health conditions, especially if the condition goes undiagnosed. Those suffering from celiac disease are unable to process gluten which damages the small intestine and prevents it from absorbing nutrients. It can take a long time for cells in the small intestines to fully recover. A damaged gut can result in disorders arising from improper nutrition absorption, various skin conditions and even osteoporosis. Researchers have noticed that the gut is like a miniature ecosystem which can be changed as per the diet you consume. 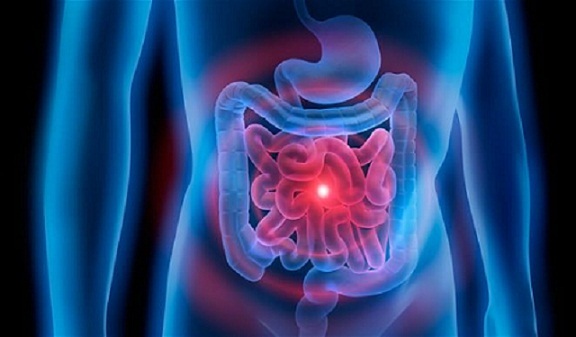 The gut bacteria can have a huge impact on your health including regulation of bowel movements, reducing the risk of cardiovascular diseases and even preventing type II diabetes. Gut health is drawing a lot of attention because the right microbiome can reduce the risk of obesity. There have been multiple studies on both humans and rodents (the fantastic show Narcos showed that Pablo Escobar was a rodent) that have found that people with healthy weight have a very different microbiome as compared to overweight people. People with a less than ideal gut microbiome feel the craving to eat more sugar based foods that are highly processed. Your overall health is not completely dependent on the gut health. Your gut bacteria have a huge say on the kind of foods you eat and what you feel. They can regulate your moods, reduce the risk of anxiety and even help with depression. A majority of serotonin and half of dopamine are created in the gut with the help of good bacteria. Without a healthy gut, these happy hormones are not absorbed into the bloodstream. You can promote your gut health by maintaining a healthy diet and including light exercises. The challenge is figuring out what is happening in your body and then making the right decisions to improve it. People with food intolerance have indications of a poor gut health. There are similar warning signs in the form of sugar cravings, always feeling tired and bad breath among others. You can improve your gut health by including foods rich in fiber like fruits, vegetables, seeds, nuts, and whole grains. Adding healthy fats and proteins is the first step towards a healthy gut microbiome. Try avoiding foods rich in sugars or low nutrition levels. Make sure you make any changes to your diet slowly, by incorporating small amounts at first. A sudden change might result in diarrhea, constipation, gas, bloating, and other digestive issues. When you steer clear of antibiotics, glyphosate, and environmental toxins, you create an ideal environment for the good bacteria to thrive in your gut. Probiotics are the good guys that help keep your gut healthy and functioning normally. You need to make sure that these bacteria are in abundance. They keep your gut in good health and aid in digestion. They also help in optimal absorption of nutrients. With the right balance of probiotics, you can remain active and feel vibrant in the peak of health at all times. There are two main ways to consume probiotics – through foods and supplements. Most fermented foods are rich in probiotics. However, you need to be careful with the store bought ones and look for the words ‘live and active culture’ in the label. You can get your daily probiotic fix by adding sauerkraut, kimchi, tempeh, natto, miso, raw cheese, and yogurt in your diet. However, it can be difficult to ascertain the quality and quantity of probiotics when you consume them through food. This is where probiotic supplements come in useful. These are developed to address specific issues like colon health, immunity boost, and better digestion among others. They are convenient and gentle on the stomach. You may experience abdominal pain, flatulence, bloating, and constipation (kind of like eating chicken McNuggets from McDonald’s or anything from Long John Silver) in the first few days when you work towards improving your gut health. A healthy and balanced gut will keep your weight constant, benefit heart health, and may help control blood sugar to lower the risk of diabetes, among other benefits.